Time is flexible for Amanda Roskos, like Yoganidrasana-pose-flexible, much to her husband’s chagrin and, prior to that, her mom’s. 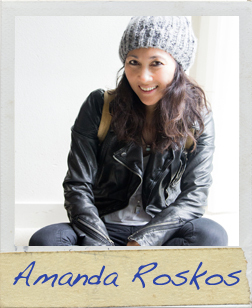 Immersing herself in yoga kept Amanda from writing for a number of years. She discovered, like time, everything is flexible. Her namaste moment happened twice in one fell swoop. With equal amounts of dismay and pride, her twin boys mastered the art of spinjitzu time-bending at an early age. They say it is a sign of brilliance…“they” being the parents. These days, Amanda and her family practice the tensile strength of time or, as her husband says, “being late in LaLaLand” (Los Angeles, California). Read the first page of Amanda’s story!